Macduff MD Group offers a total care service for carpets and upholstery. We work with a Code of Practice and pride ourselves on our professionalism and the outstanding results achieved for both our domestic and commercial clients. From the moment you phone us or send us an email, you’ll feel confident that you’re dealing with a highly competent local business. We’ll give you a firm price that we’ll stick to. 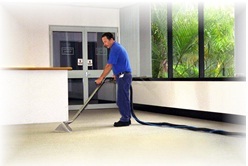 We turn up on time and in full uniform and the right carpet cleaning equipment. In the unlikely event that you are not happy with what we’ve done we’ll return and re-do the work without charge and without quibble. We only provide first rate cleaning. At Mactelecoms Pest Control Pretoria we are a Pest Control company that prides itself in delivering exceptional Pest Control Services to our customers since 2008. Over the years we have built up experience in delivering fast, efficient, clean and, most importantly, a safe way of exterminating pests, where needed. Our workers are all capable of taking care of any problem that arises and they are all trained to handle any situation according to a customer’s specific requirements or needs. Our teams are all very friendly and are always open for any questions or concerns that you may have.